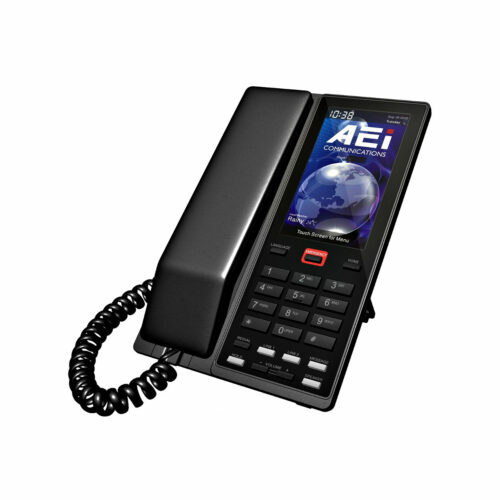 One - Two Line IP DECT Cordless Telephone Our VM-IP series(S) of DECT cordless Mid-Size Telephones, sets the standard for style and function. 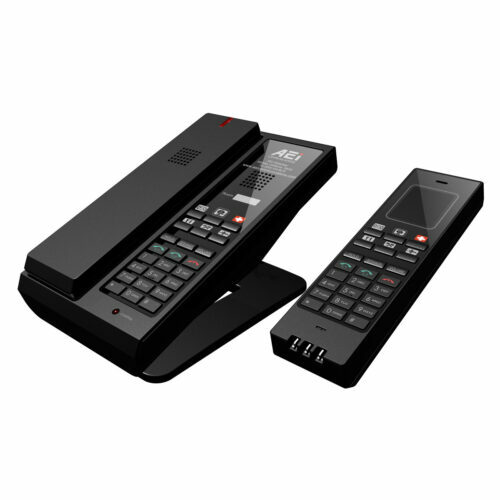 With the most compact footprint available in a hotel cordless phone, you'll love how the VM cordless fits in just about anywhere. Full duplex speakerphones on base provide even greater guest convenience. 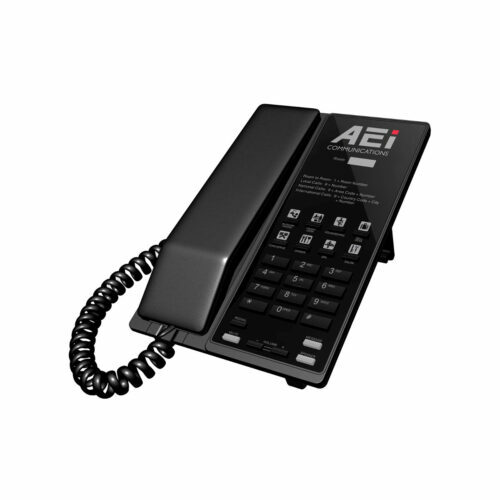 Now, no matter where guests are in the room or suite, they can enjoy a quality speakerphone call! 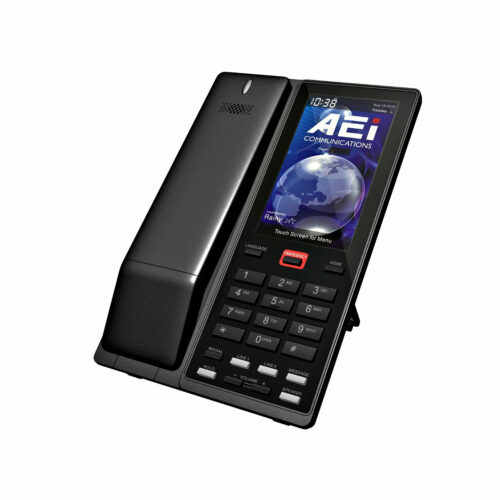 One - Two Line IP DECT Cordless Telephone with LCD Screen Our VM-SLT IP Series(S) DECT cordless Mid-Size Telephones with 4.3 inch Capacitive Touch Screen, sets the standard for style and function. 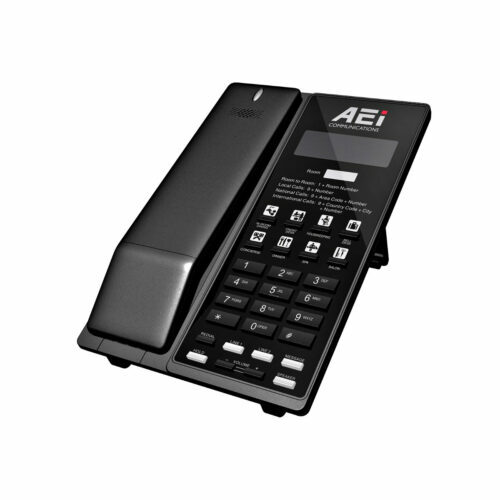 With the most compact footprint available in a hotel cordless phone, you'll love how the VM cordless fits in just about anywhere. 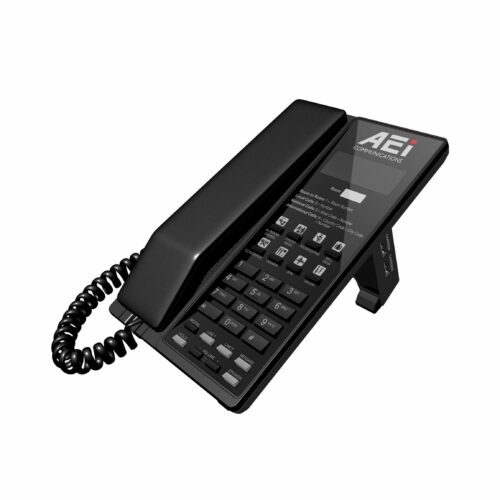 Full duplex speakerphones on base provide even greater guest convenience. 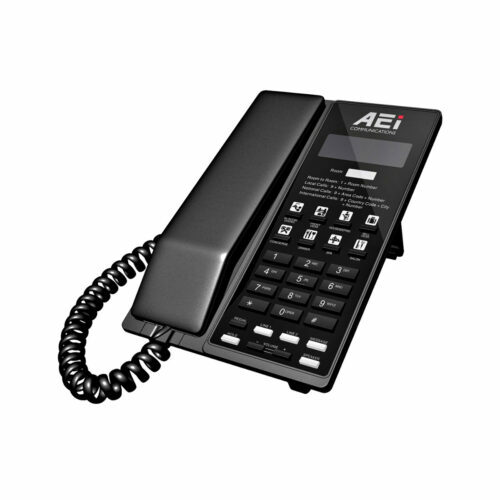 Now, no matter where guests are in the room or suite, they can enjoy a quality speakerphone call!